EURACTIV has been a Knowledge Partner of EBS since its launch in 2000. This year’s edition will focus on how the industry and the society are impacted by digitalisation, the driving force behind the fourth industrial revolution. SPECIAL REPORT / Greek Minister of Finance Yanis Varoufakis is confident on reaching an agreement soon, as talks are progressing with international creditors. SPECIAL REPORT / New technologies are changing the structures and dynamics of companies, adding extra pressure on workers to improve their ICT skills, experts say. 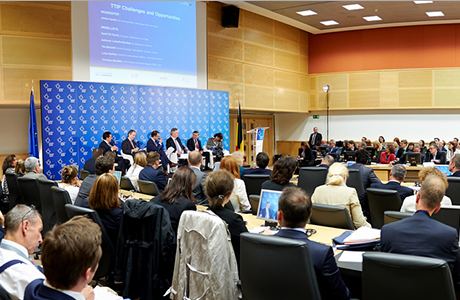 On 6-7 May, Brussels hosted its 15th annual European Business Summit, around the theme "Industry 4.0". “There is so much opportunity to talk to consumers in the digital space, in social media across the EU,” said Mondelez Europe's President Hubert Weber at the 2015 European Business Summit in Brussels. “There is a lack of implementation of many important directives. For instance, with the energy efficiency buildings directive we see a lot of problems in member states,” said Thomas Thomas Reynaert, President of United Technologies' International Operations in Europe during the 2015 European Business Summit. During the 2015 European Business Summit in Brussels, Hill+Knowlton Chief Executive Officer Thomas Tindemans spoke to EURACTIV about the current state of business in Europe. Europe’s manufacturing sector has always been the envy of the world in delivering high quality products. With the digital transformation of Industry – or Industry 4.0 - it now has the potential to lead the world in a new kind of tech transformation, writes Erich Clementi.